If Labour gets its way, bookmakers may face a levy to fund NHS treatment in an attempt to curb problem gambling. Labour will investigate how mental health services are coping with the impact of soaring numbers of addicted gamblers. Reports suggest problem gambling has increased by two-thirds in the last three years. 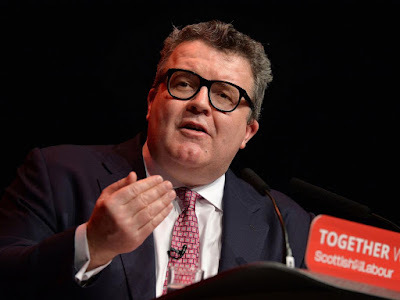 Tom Watson, Shadow Cultural secretary, will hammer gambling firms who ''deliberately target'' the most vulnerable. They will review how a tax could fund NHS treatment for those whose lives are affected by addiction. The Gambling Commission has estimated that around 440,000 people over 16 suffer from a serious gambling habit. 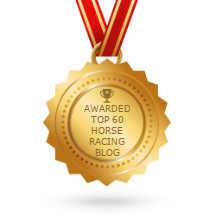 While two million others can be views as problem gamblers or at risk of gambling addiction. Speaking at the Labour party conference, Mr Watson said: Some gambling companies, driven by greed, are deliberately targeting our poorest communities even as hundreds of thousands of lives are ruined by addiction. The number of problem gamblers in this country has risen by a third in just three years. Two million people are either problem gamblers or at risk of addiction. Children and young people are being targeted by betting adverts, while some betting firms make it difficult for addicts to opt out of online gambling, he will claim. Gambling companies are even harvesting data to deliberately target low-income gamblers and people who have given up gambling. More than half of companies profit from 'risk' gamblers. This has to stop. Gambling companies must be held to account for this abuse of trust and power. "Can you imagine the uproar that would ensue if drinks manufacturers targeted members of Alcoholics Anonymous by selling vodka outside AA meetings? We wouldn't tolerate that - and we should no longer tolerate the same pattern of irresponsible behaviour by some bookmakers." The party insists they will crack down on fixed-odds betting machines, which have been criticised in recent years. These games feature a maximum stake of £100. Calls for the sum to be reduced to just £2 have been discussed. In addition, there have been calls for bookmakers sponsoring football to be stopped. At present, gambling forms give 0.1 percent of their profits to GambleAware which funds education, prevention and treatment services. The Association of British Bookmakers said: They backed " an evidence-based approach to helping problem gambling in the UK" and would support the probe, if it facilitated this. A spokesman said: "We also would not oppose an appropriate, compulsory levy on the gambling industry to fund problem gambling treatment, as we have long argued that the gambling industry needs to work together to reduce the number of problem gamblers and address the fact that most problem gamblers move between different forms of gambling."